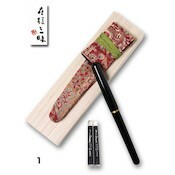 The saraya pattern first came to Japan from India during the Edo Period, and from the Meiji Period to the first part of the Showa Period it was very popular. 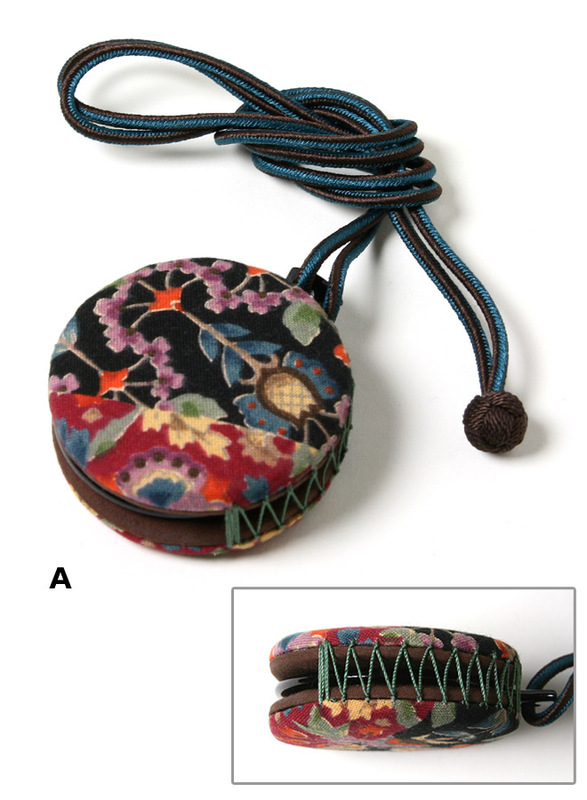 The classic Kyoto shop Okaju uses the materials in its warehouse to create a unique arrangement and design of "A Saraya From Long Ago".Each has been dyed by hand, and as such, is different in their own way, making them famous for their unique flavor.Store in the sliding-type case to help prevent lens scratching. 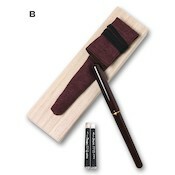 The outside of the frame has been carefully lacquered by a craftsman one by one for a deep-flavored color. 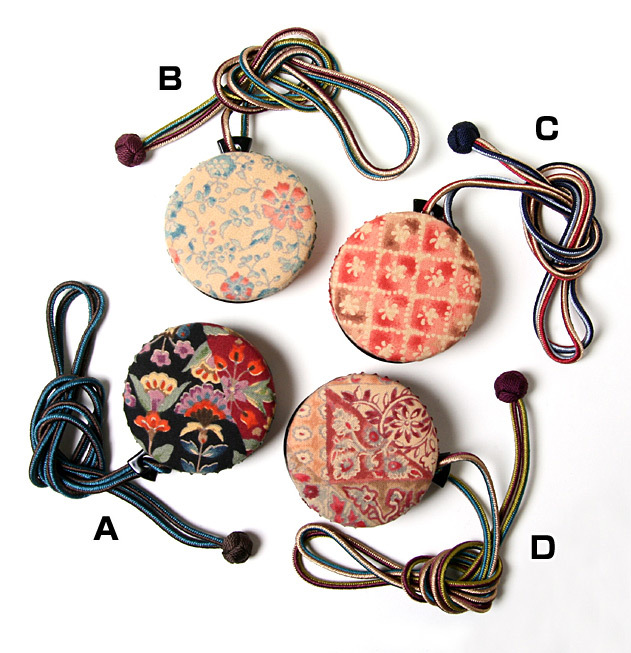 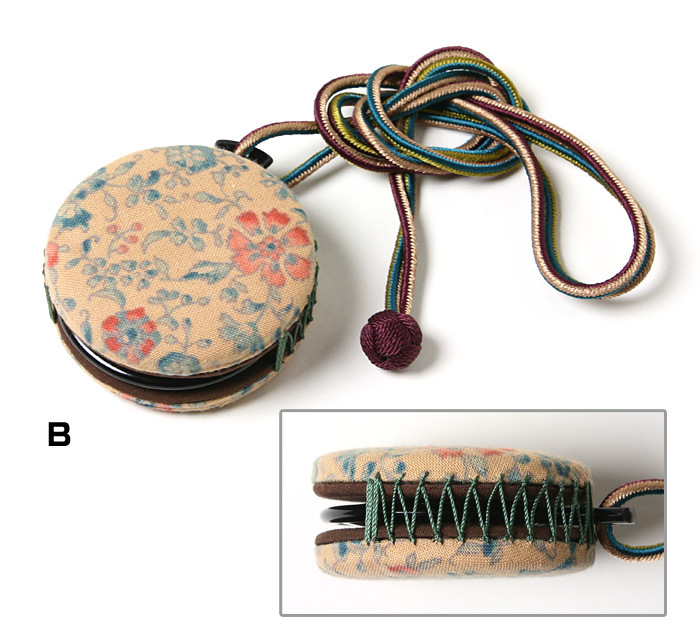 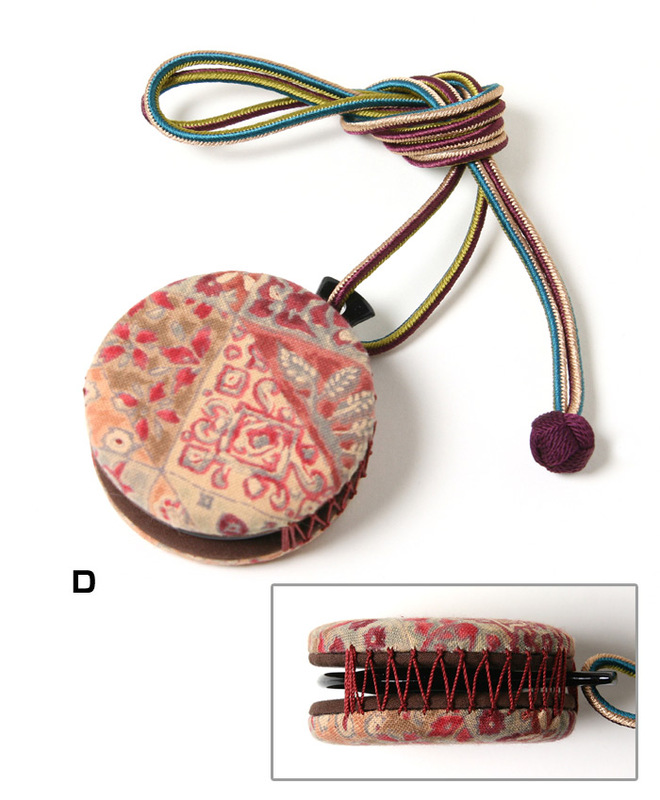 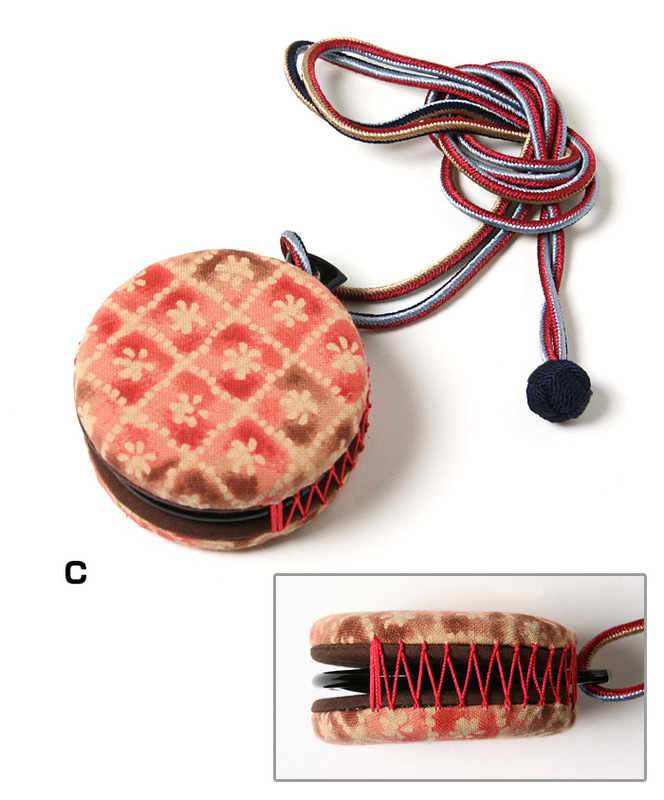 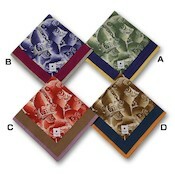 The 4 different colors of the Kyoto braid add a nice accent to this accessory-like item. 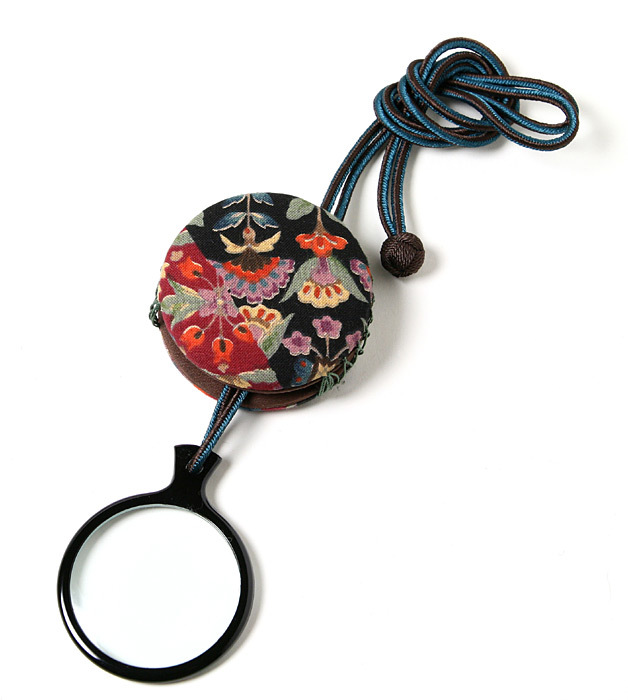 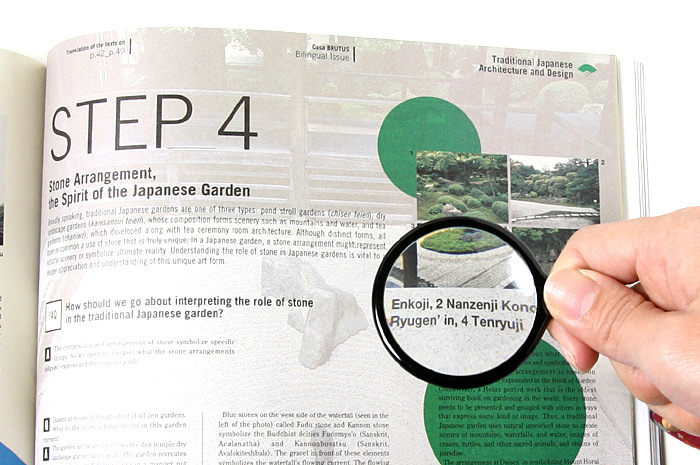 A magnifying glass for a wide variety of scenes. 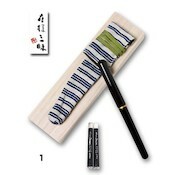 Recommended for your personal use, and as a present. 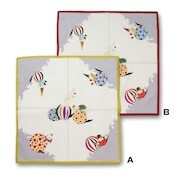 •The nuance of pattern A & D pattern may vary.